So, we’ve all played the spectacular Assassins Creed II by now, and it’s safe to say we all want more right? Well last month the first batch of DLC was released. The Battle of Forli. 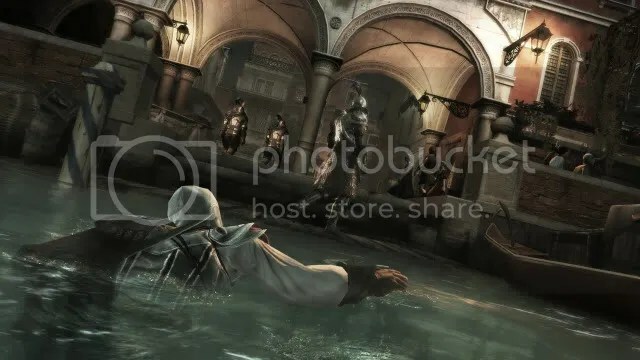 The content follows the true story of the Battle of Forli and how Ezio comes into the possession of the apple. One of the first pieces of Eden. 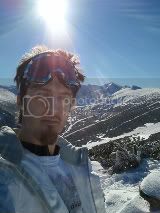 Now, those of you looking for something of a relatively long story to keep our assassinating needs at bay look away now. Those who may have checked out the DNA thread (even back when the game launched) will already know that this DLC is only 6 missions long. Six missions are fair enough, if only there was a little more on the rewards side of thing right? The content starts up right away from your game save (unless your not past Memory 11) via Rebecca’s patch on the Animus 2.0 and starts with Di Vinci’ discussing the Apple and what powers it can hold, the apple is then taken to Catarina Sforza’s castle. 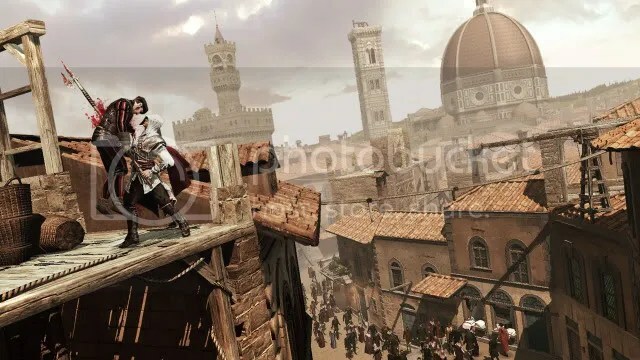 Shortly after, Sforza, our female friend Ezio made early on in the game discovers that Forli is under attack and that the invaders are after her children in her castle. Ezio believes they may be after other things in now located at the castle. Because I knew there were only 6 missions, I decided to take things slowly. I’d even keep my eyes out for the treasure chests and any more Feathers I may have missed whilst playing the game. Unfortunately, after completing the first mission, I was greeted with the ‘Accept’/’Decline’ screen for the next mission, only…there wasn’t a decline mission. 2 missions later, I was given the freedom to take a break from the main story and examine what else the DLC held, after noticing a ‘Special mission’ icon but in the north of Romagna. I made my way there. When playing the main game, the parts with Da Vinci’s flying machine personally were the low lights of the game. Its inclusion just felt like a mere set piece and I was glad to see the back of it. With the special mission, we are granted with the flying machine to…well…fly over the rooftops of Romagna. Bonfires are lit around the entire city to keep you in flight if you wish to be, but there’s actually no ‘mission’ to it and nothing to actually gain from it. Unless you like the flying machine. After another 20 minutes of game play, unfortunately the DLC was over. Whilst the DLC here is good for filling in the gap and only being 320 Microsoft Points, I was hoping for a little bit more on the rewards side or more things to do. Whilst the later missions include you using a bit more of the Romagna area and is also a good excuse to catch any hidden items you missed before its still just filling gaps so lets hope for more from the second piece (despite the DNA bridge being smaller for that memory! ), the Bonfires of the Vanities. Out tomorrow.